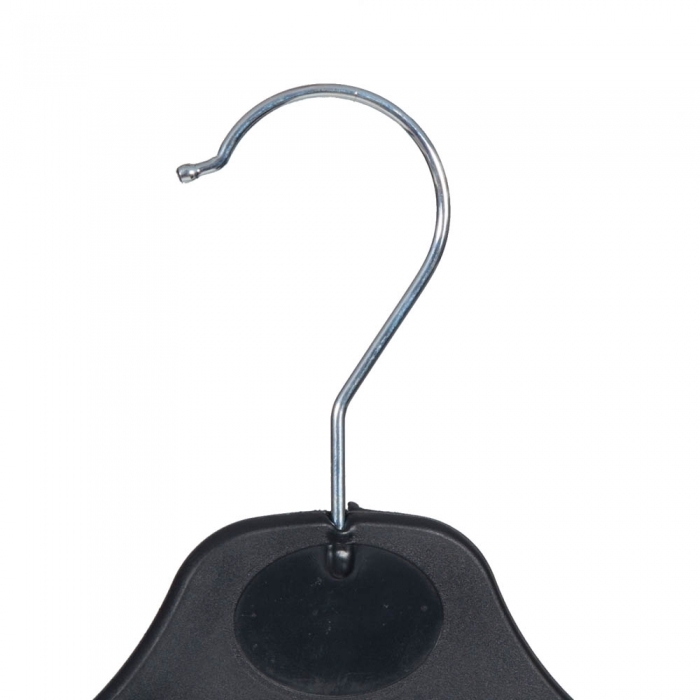 Childrens plastic top hanger. 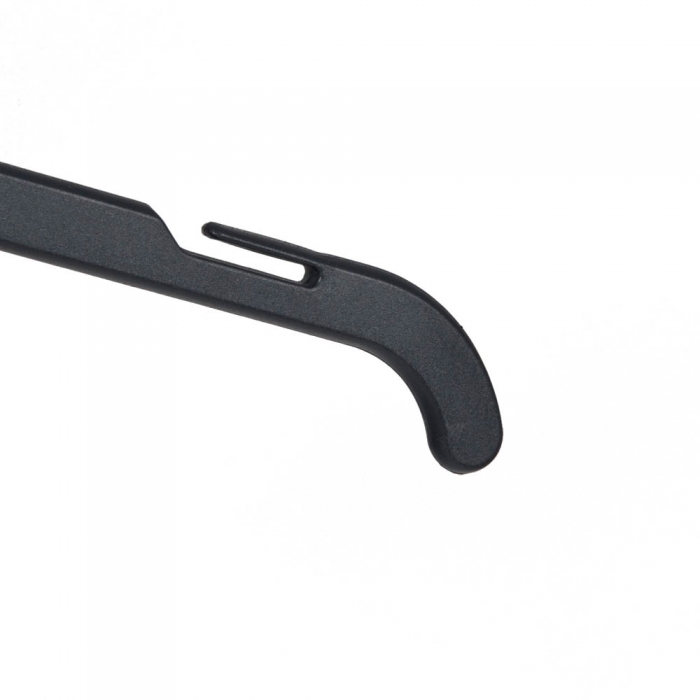 Black colour with notches in a 30cm width. Sold individually. 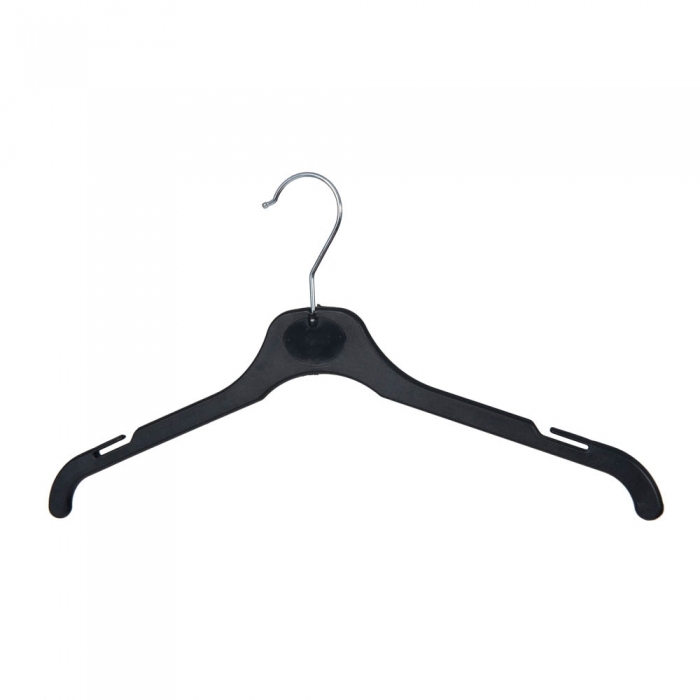 Also available in 26cm, 36cm and 41cm widths - please contact us for these. 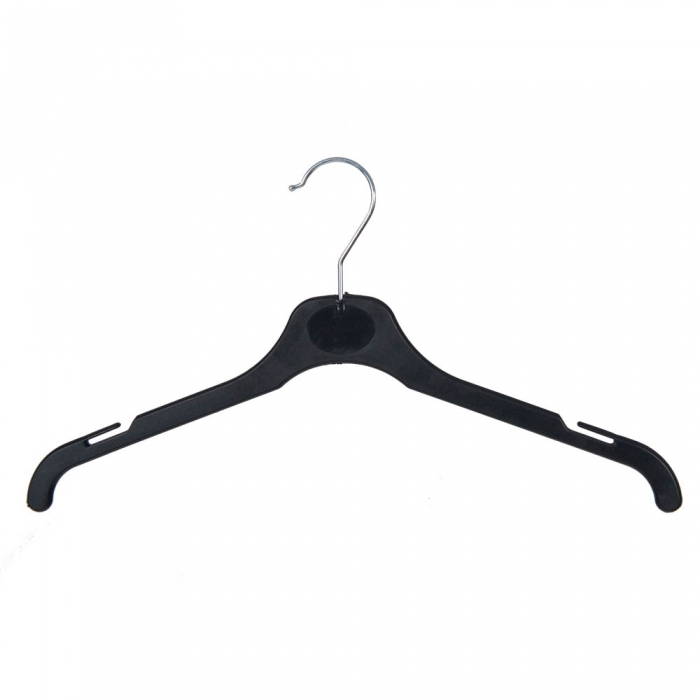 These clothes hangers are perfect for the retail environment and sold to retailers throughout the UK and equally suited to the home. 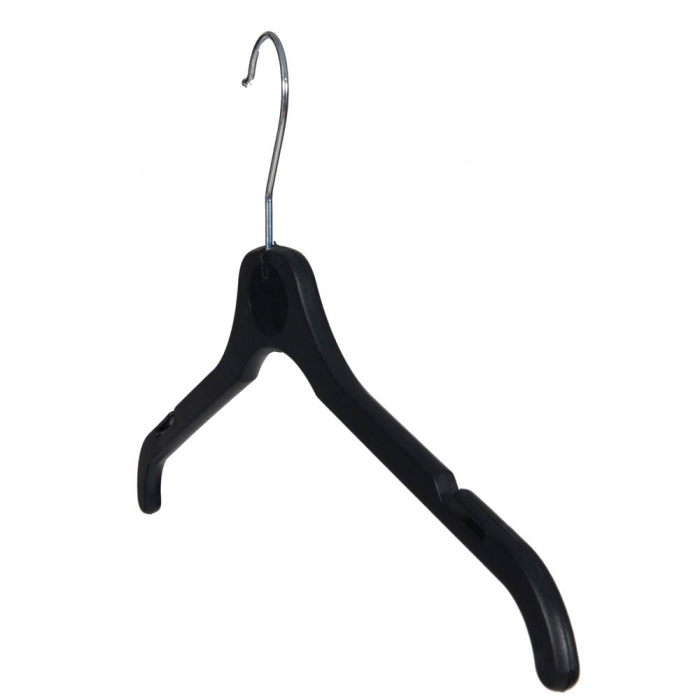 This coat hanger is ideal for garments such as childrens t-shirts and outerwear.